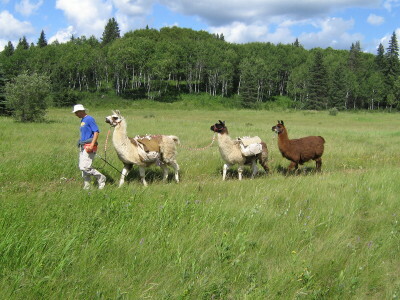 The proper colour is to DYE. Coloring is one of the most delightful arts, also a most responsible branch of manufacture; and a good dyer makes a manufacturer wealthy, happy, and renowned; while a poor one brings ruin, bankruptcy, and misery; and not considering the fineness of the cloth or the faultless weaver, the color sells the goods. No matter the perspective from which dyeing is discussed, in the end it all boils down to one, singular, powerful kernel…beauty. Humans can’t be blamed for their love of colour; to love colour seems to be in our genetic make-up. In 1856 William Henry Perkin accidentally discovered a lavender dye synthesized from a coal-tar derivative and the age of synthetic dyes was born. Synthetic dyes are standardized and not dependent upon the variances of seasons, climates, growing conditions, or individual plants. Looking at the colour of the clothing that you, the reader, is wearing, we take all of this for granted each day as we decide what colours to choose; it wasn’t always that way. 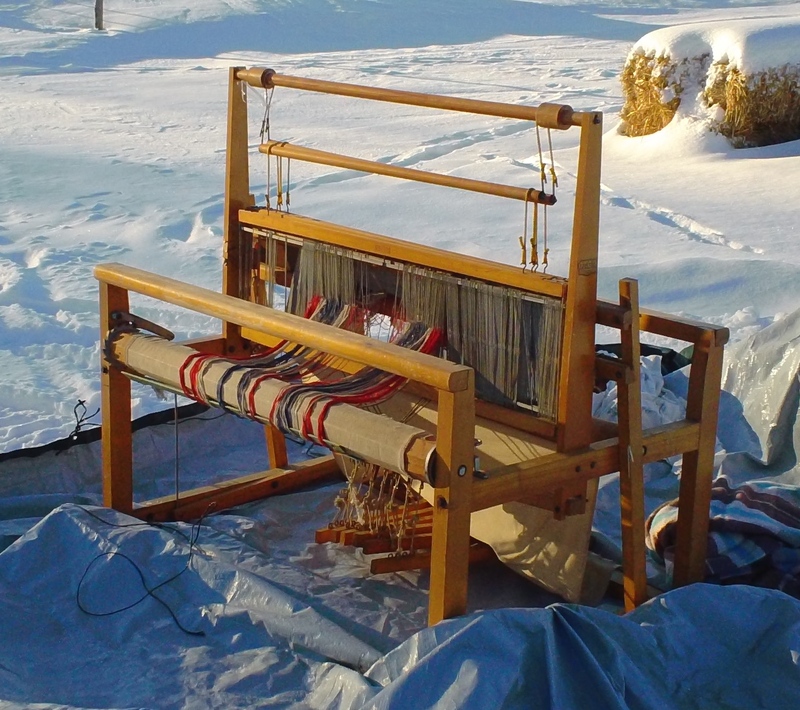 But it seems now that the circle has come fully ‘round again, and natural dyes are making a come-back as their very uncertainty and the uniqueness of each batch allows for variations that are personal and unprecedented. And not only that. 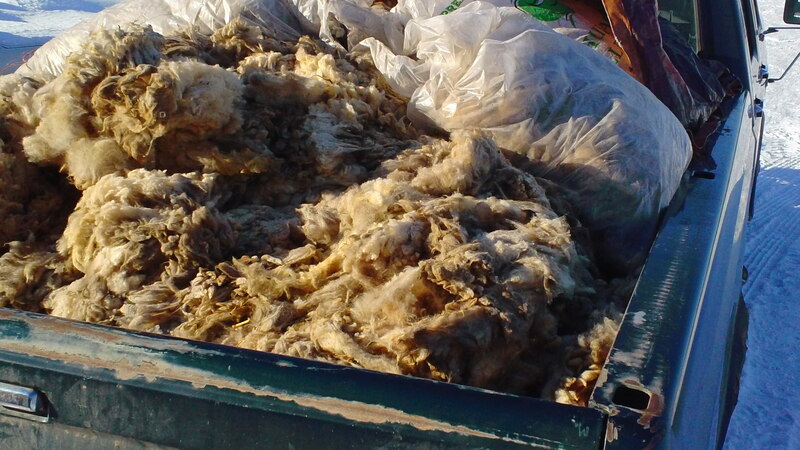 But the individualism of dyers and their locales are again becoming appreciated regionally. That rather than the unconscious dependence upon the ecological, social, and economic destructiveness of global corporate manufacturing, transportation, and marketing systems, real people can organize to provide grounded local goods. It seems that the Canadian agricultural corporate giant has decided that it’s not worth picking up in our area, so friends have been burning it for years. 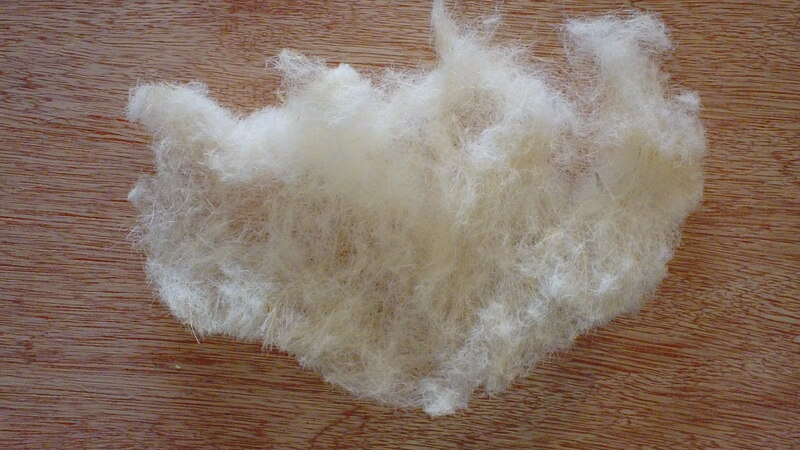 Lot #4, mordanted (fixed) using NaCl (table salt) and not rinsed or washed (raw dyed llama fibre). 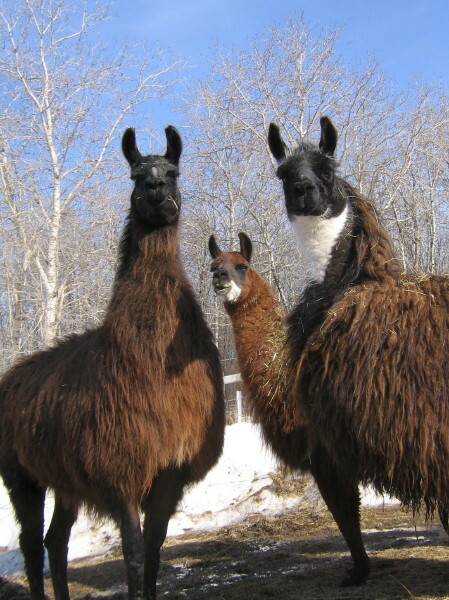 This post tells about my first dyeing of llama fibre using Lonicera caerulea (haskap) berries. 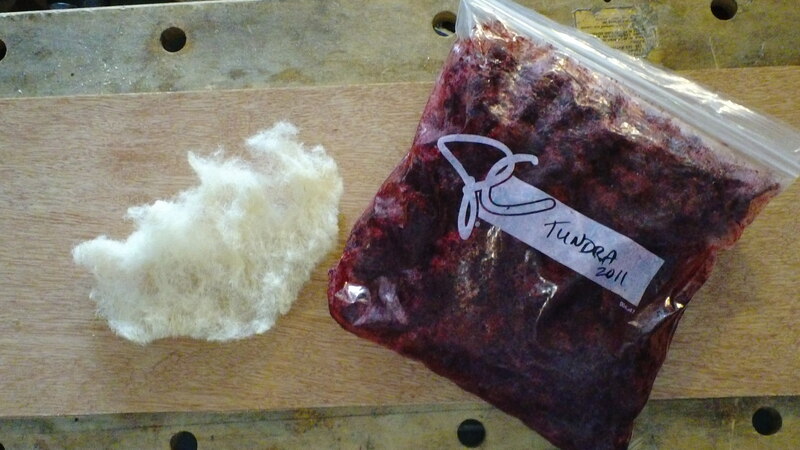 The llama fibre is unwashed white from one of my own llamas, and the berries are from the Tundra selection of University of Saskatchewan haskap grown in my own orchard. 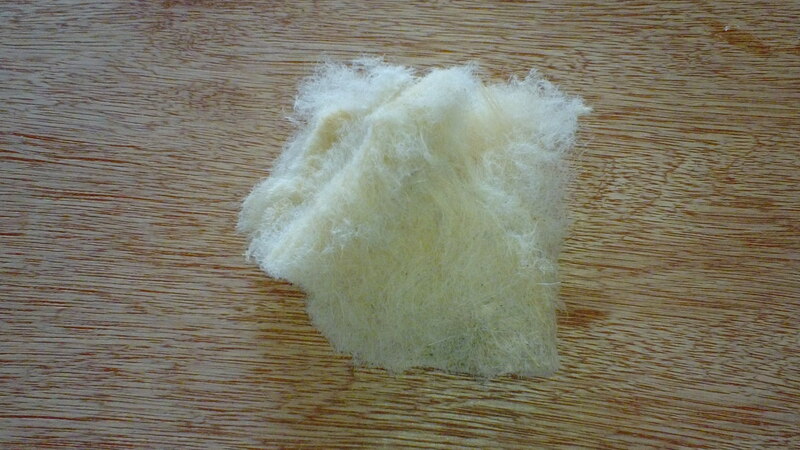 1 – The first sample remained dry and undyed as a comparison. 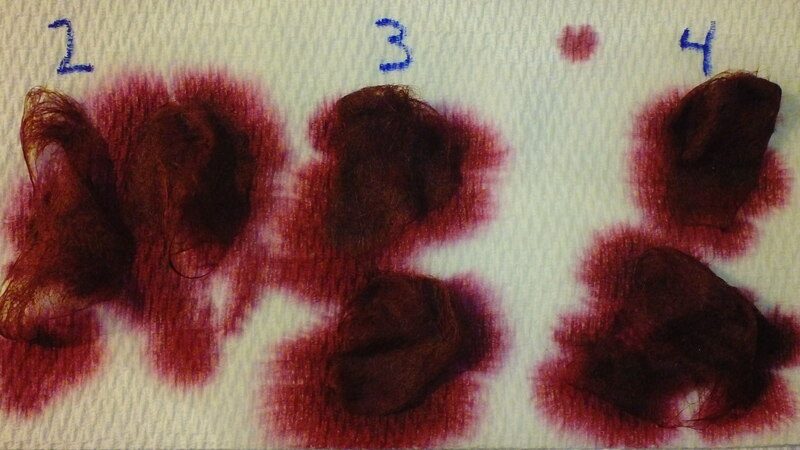 2 – The second sample was dyed, but was not soaked or mordanted beforehand. 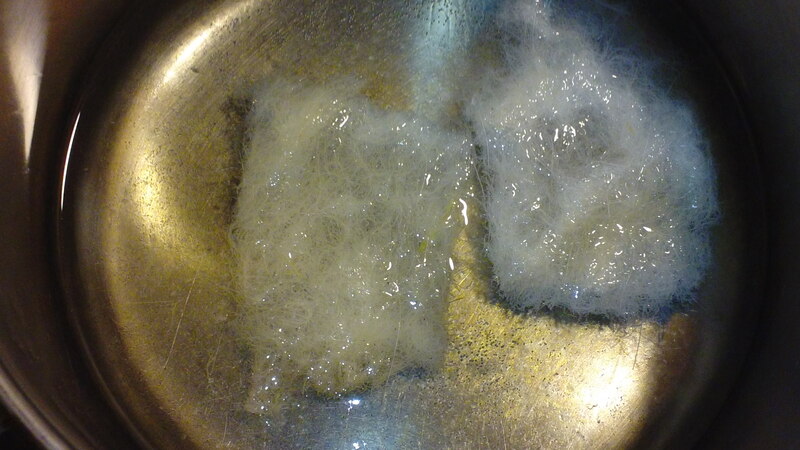 3 – The third sample was prepared by water soak preparation only. 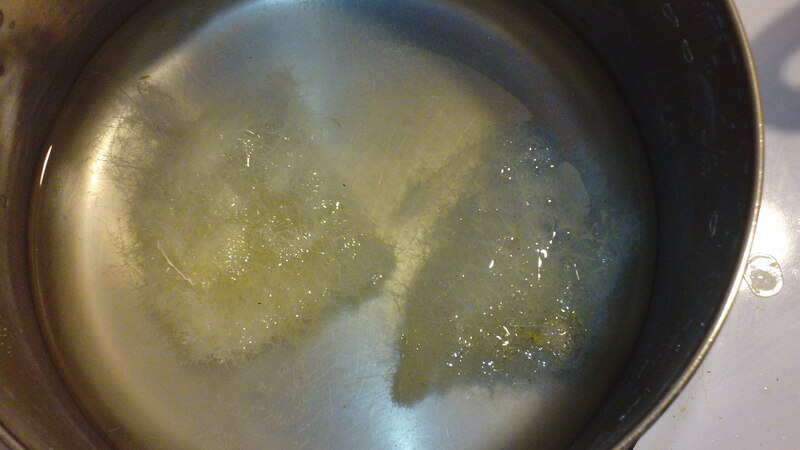 4 – The fourth sample was prepared using a traditional salt mordant (NaCl). 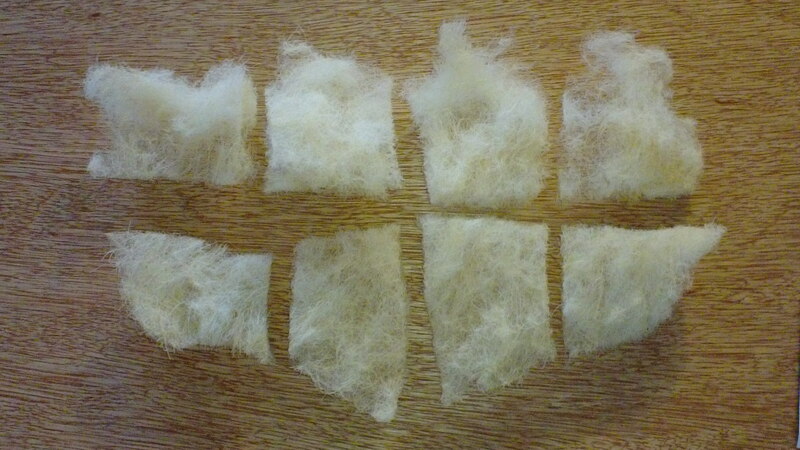 Two samples were prepared from each. This will allow a comparison from each treatment before and after they dry and one is subsequently washed after several days in order to determine colour-fastness of this berry’s properties. This procedure allowed me to compare later on as a base-line comparison of the simplest sort. Haskap is a newly cultivated berry that found its way to North America in the 1990’s and is now being intensively bred and selected for at the University of Saskatchewan. Haskap is the name applied to a superior selection of genotypes of Lonicera caerulea. 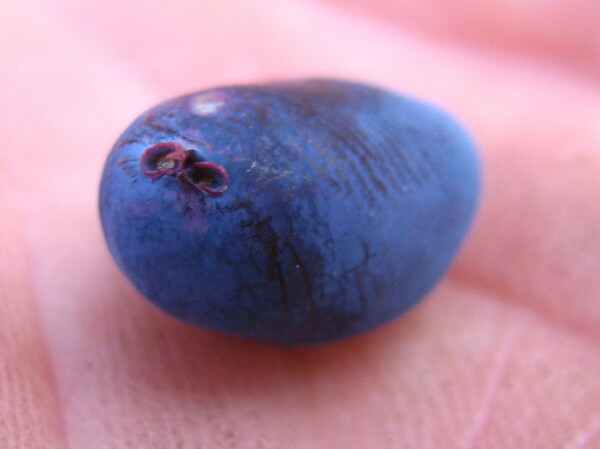 These plants are commonly known as edible blue honeysuckles, and also have been marketed using the name of Honeyberries. Their berries come from flowers that can withstand a -7C freeze and still produce fruit, and the plant is still viable after winter temperatures drop below -40C. It is truly a northern plant and modern plant origins can be traced to Siberia, the Kamchakta peninsula, and the northern island of Japan. The berry’s meat itself is coloured a deep, rich burgundy; it stains anything with which it comes into contact a bluish-purple. The stain can be removed by citric acid. Otherwise it is very difficult to remove. 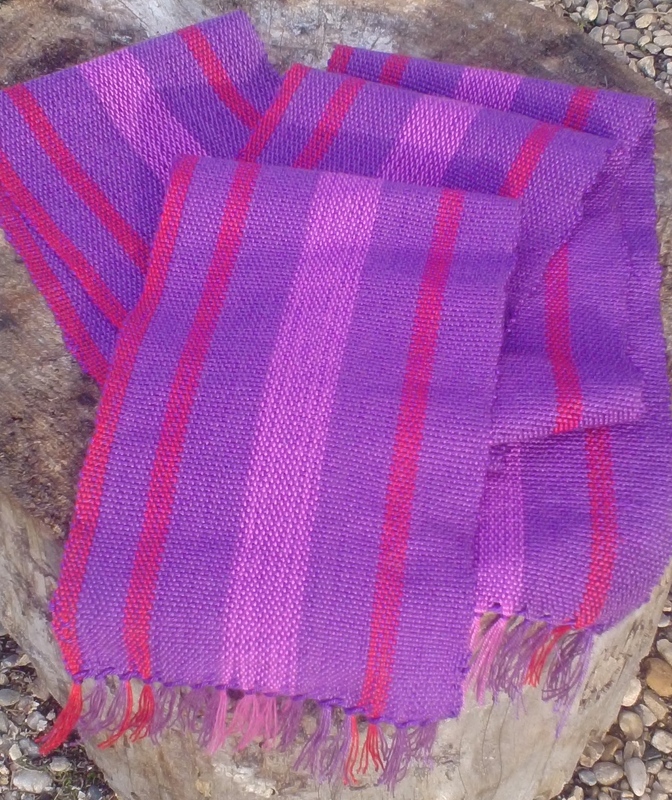 I can find no reference to its use as a cloth dye using a simple internet search. We currently have almost 3,000 plants in our orchard, parts of which are just now coming into full production. Since aluminum and iron can affect the the dying process (serving as mordants themselves), all utensils and pots used were made out of stainless steel. The salt mordant (fixative) consisted of 1/16 cup of salt to 1 cup of water (1/2 cup of salt to 8 cups of water for larger batches). The dye itself consisted of 1 cup of berries to 2 cups of water. 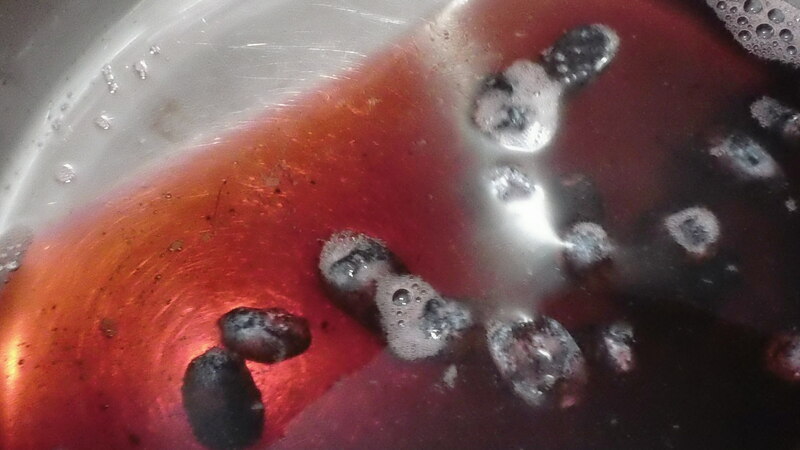 This was brought to a boil, the berries crushed, the mix simmered for an hour with the lid on, and then strained. 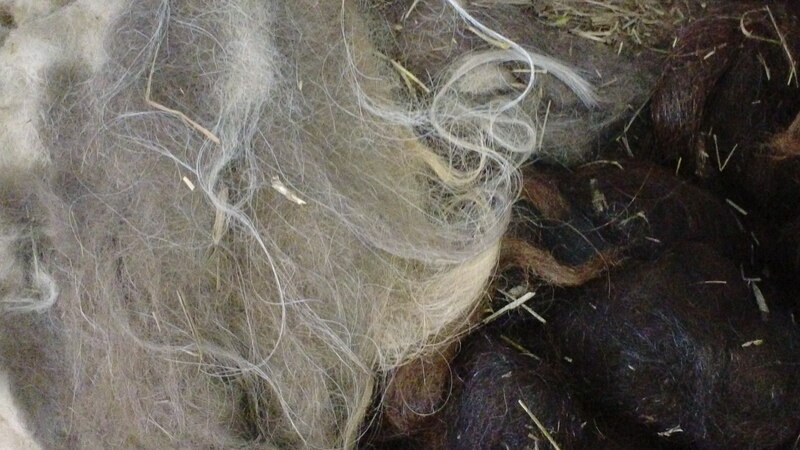 The third and fourth batches of fibre were simmered for an hour before being dyed. The third batch was simmered in water alone; the fourth batch was simmered in the salt mordant. All were then simmered in their own respective stainless steel pots with strained dye, again with devoted utensils. These were then set out to dry. 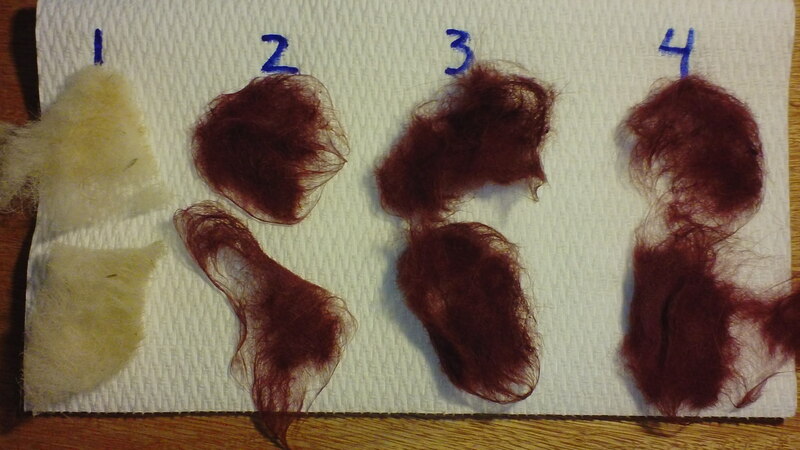 Tomorrow I will wash one piece of each lot and see if the dye remains fast or not. 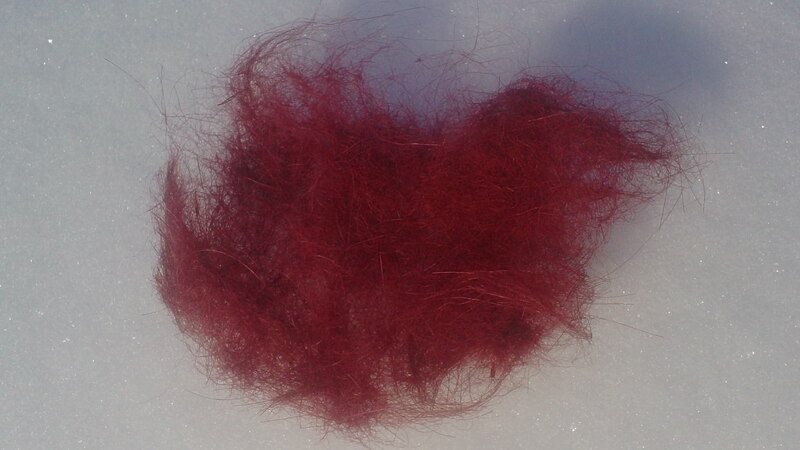 These will serve as a baseline for future dyeing, particularly in relationship to mordants such as alum (potassium aluminum sulfate KAl(SO4)2·12H2O).